Far Cry 4 release date is scheduled for the next year? 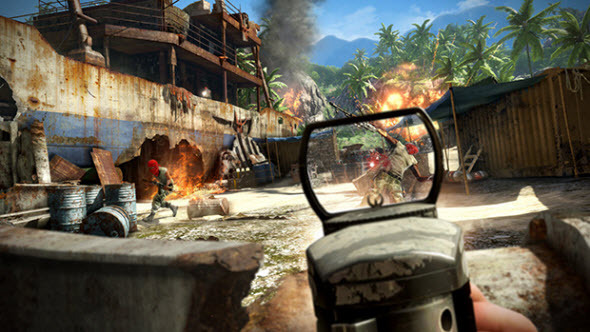 After successful Far Cry 3 and its first DLC Ubisoft is working on new installments in this popular series of shooters. Yesterday the new rumor about Far Cry 4 game and its release date leaked to the network. The user of Neofag forum, who is well-known because of his correct rumors about upcoming Ubisoft games, yesterday wrote that he knows the approximate Far Cry 4 release date. According to his post, the new game is coming in the first quarter of 2014 and now is already under development. Far Cry 4 game is not the only one project in this series, which Ubisoft is working on. Also Far Cry 1 HD is going to be released this summer. As you may guess, this game is a remake of the first series' part that will get extremely realistic graphics and physics. Are you waiting for Far Cry 4 release date or are you interested in Far Cry 1 remake? Let us know in the comments below!